Exemplary sportsmanship or innovative time wasting technique? 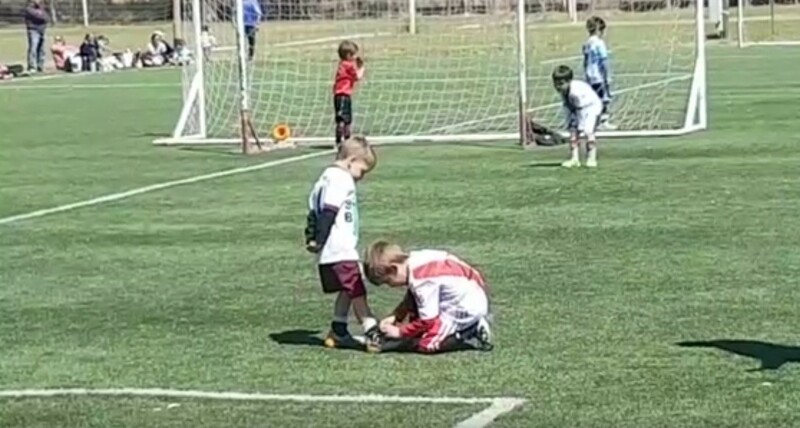 During a youth match in Cordoba, Argentina, one player decided to stop everything and put his opponent’s safety first by tying his shoe for him. This thoughtful service was caught on film, giving Roy Keane the opportunity to pore of the footage and wonder why the kid didn’t take this opportunity to tie his opponent’s shoes together. Normally when you see a footballer tie another player’s shoe, it’s because the player having their shoe tied is a goalkeeper and their gloves prevent them from doing it themselves. In this case, it’s most likely because the player having their shoe tied simply didn’t know how to do it themselves. 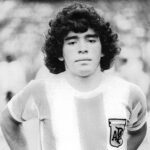 It’s nice to know that sharing one’s expertise comes before adversarial animosities in the Argentine youth leagues.